This fixture last season ended 2-2. We had been 2-0 down with ten minutes to play, when Rose and Kane scored to level the game. West Ham have shown in recent seasons that on their day they are a match for anyone. Indeed we have only won one of our five most recent meetings. Despite this, I see us as having a good chance of a win. I think we have a great 75% chance of scoring, a 37% chance of scoring more than once, and a cool 55% chance of keeping a clean sheet. The most likely scorelines are: a 1-0 win, a 2-0 win, a 1-1 draw, and a 0-0 draw. Overall I think there is a 55% chance of a Spurs win, a 26% chance of a draw, and a 19% chance of a West Ham win. 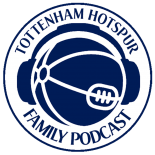 This entry was posted on 20/11/2015 by javadmovahedi in Uncategorized and tagged COYS, premier league, spurs, thfc, tottenham fc, Tottenham Hotspur, Tottenham Hotspur Football Club, West Ham.